Biasi is a leading manufacturer of affordable domestic heating solutions with more than 75 years of experience to draw on. This Italian company remains at the forefront of new product development and strives to set benchmark standards; the result is a range of reliable, compact and easy to use boilers supported by excellent warranties available from 5 to 7 years. And, as if all this weren’t enough, a Biasi boiler is also one of the most competitively priced on the market. If you’d like to find our exactly how much a new Biasi boiler will cost to install in your home, complete our enquiry form today. It takes just a few minutes and we’ll then find you up to 3 quotes from Gas Safe installers in your area for your new boiler. For the UK domestic market Biasi offers a range of combination or ‘combi’ boilers. All the products offered are affordable, easy to use and feature compact design. Every Biasi boiler is made at the company’s state-of-the-art production centre in Italy and is fully tested before making the journey to the UK distribution hub, and then on to customers’ homes. 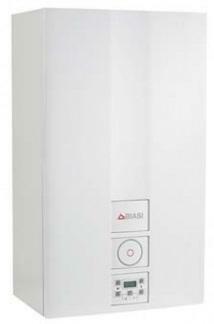 Biasi boilers combine a high efficiency water heater with a central heating boiler into a single compact unit. This means that unlike other systems, there is no requirement for a separate hot water cylinder. This is also good news if you want to save space and keep installation costs down too. If you are choosing a Biasi combi, take time to consider how many people would be using the hot water at one time as this will affect the flow rate if more than one tap is running at once. How Much Does A Biasi Combi Boiler Cost? Everyone likes to save money where they can, particularly on their monthly bills. That’s why investing in a new combi boiler is a good idea for any home as today’s sleek new designs are much more energy efficient than their predecessors have been. A Biasi combi is a good value option as there are various affordable products in the range. You’ll also need to budget some extra cash to pay a qualified heating engineer to install it for you. After that, you can look forward to lower gas bills which should make a difference in the long term. Get quotes for a new Biasi boiler. A Biasi Advance OV is the perfect replacement for regular (traditional) open vented boilers which incorporate a feed and expansion tank in the attic with a separate hot water cylinder. Large households will often find that a Combi boiler isn’t able to generate enough hot water for all the radiators and bathrooms in the home, and while a System boiler is a popular choice option in big homes, the pipework in older properties cannot cope with the high pressure of mains water. In addition, replacing a regular heating system with a combi or system can be a more complex and costly installation. This is where modern, condensing regular boilers like the Biasi Advance OV are a great solution. The Advance OV boiler has been designed with efficiency, reliability and ease of installation as priorities and is a great choice for homeowners looking to update their central heating system and lower their energy bills. How Much Does A Biasi Regular Boiler Cost? Every household would like to keep their heating bills as low as possible, and that’s exactly what an A rated boiler performing at maximum capacity will do. A Biasi regular boiler is a great value option as they are some of the most affordable models on the market. You’ll also need to pay for a Gas Safe heating engineer to install it for you, but once the boiler it has been fitted you can enjoy many years to come of a comfortable home and minimal heating bills. Get quotes for a new Biasi boiler. A system boiler is worth considering, particularly in homes were the demand for hot water is likely to be quite high. This is because any combi without stored water will struggle to achieve good flow rates if two or more taps are running at the same time. That’s when a system boiler comes into its own as it is linked to a separate hot water cylinder. A system boiler is also different to the third option – a traditional or ‘regular’ boiler – as that type needs both a hot water cylinder and a cold water storage tank. 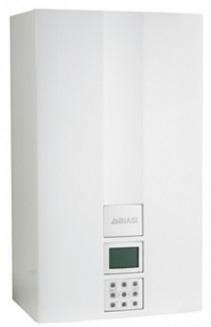 If you choose a Baisi system boiler you should benefit from a modern, sleek system and higher flow rates than a combi. You also won’t need to put a storage tank in the loft. Biasi system boilers energy efficient too, so if you prefer a greener choice, this type of boiler is a good idea. Buying a new boiler is a big decision, but when you see how much lower your energy bills are as a result, you’ll soon start reaping the benefits. When planning a budget, you need to think about the boiler purchase price, the cost of a regulated engineer to install it, plus any ongoing maintenance and repair costs. Biasi is a great value option that is popular with customers across the UK. It should be easy to find an installer, but make sure you get at least three quotes so you can compare prices and get the very best deal. Get quotes for a new Biasi boiler. It’s important to keep your boiler in the best possible condition with an annual boiler service by a professional engineer. This will ensure the boiler can operate as efficiently as possible, keeping heating bills to a minimum, and that there are no potential safety issues to be concerned about. A boiler service is also a great way to catch and fix small repairs before they have the chance to worsen over time and cause an expensive breakdown. Find out what’s involved in an annual boiler service, why it’s so important, the benefits and how much they cost in Biasi Boiler Service. Every boiler manufacturer offers a standard warranty with their boilers which last between 1-10 years. The warranty is your insurance policy and means if a fault develops the manufacturer will resolve it within a specified time frame. Some warranties include both parts and labour while others may only cover parts. The most important thing to remember is to get your boiler serviced by a Gas Safe registered engineer every year as failing to do so is likely to invalidate your warranty. For more detail about this brand’s warranty (including the small print) take a look at Biasi Boiler Warranty. Even the highest quality boiler can develop faults and problems as they age. Some are minor issues you may be able to handle yourself but most will need a Gas Safe registered engineer to diagnose and repair the problem. To find out if there are any common problems associated with this manufacturer you can read our guide to Biasi Boiler Repairs & Common Biasi Boiler Problems. Error codes may appear on your boiler’s display; it’s your boiler’s way of telling you that something is wrong. Each manufacturer uses a different coding system to help an engineer to diagnose a fault. In some cases it may be a simple issue such as low pressure which you can adjust yourself but more technical faults will certainly need a professional. We’ve put together a list of error codes for all Biasi Boilers to help you understand what’s wrong before you contact an engineer.